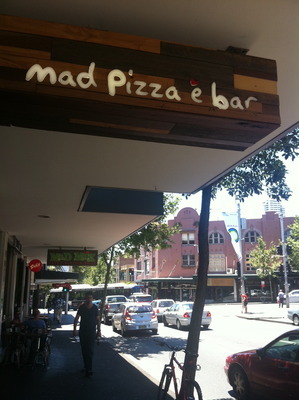 A little Italy haven called the Mad Pizza e Bar is right here in Darlinghurst. Kind of reminds me of Elizabeth Gilbert's book called Eat, Pray, Love. 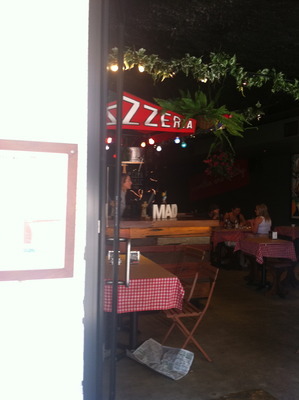 A combination of all of these elements from her book was there in this laid back and simple pizza establishment. The only letdown would have been the temperature of my seafood pizza, it was a little bit cold. Price wise, pretty good. No need to break the bank at this establishment. Service wise, friendly but maybe a bit too laid back with a 'she will be right' kind of attitude by the staff. The abundant serving of toppings made up for these weaknesses; the temperature and the service to name, otherwise I could not fault this establishment overall. Beautiful ambience, especially with the traditional checkered tablecloths. Slices of heaven. Like a home away from home to a certain degree. 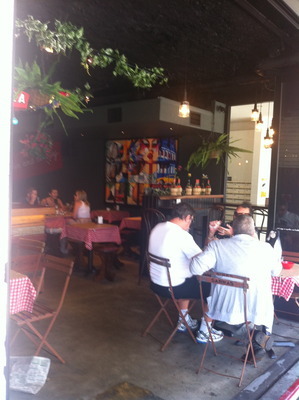 Sydneysiders; especially those living in the Eastern Suburbs nearby: if you want to eat out for pizza for a change instead of having it at home - bookmark this article as a reminder. The ambience and the generous serving sizes are the winners at this establishment.